It's also the gift idea realize in the bamboo lighting. It designs with Japan style and cover with the shelter for making the mild effect and feeling especially during the winter and snowy seasons. It can also use on any rooms of a home specially the bed room locating near to the bed. It can also use for the graphic designer to explore the ideas in the night time after switched off the main lighting supply. 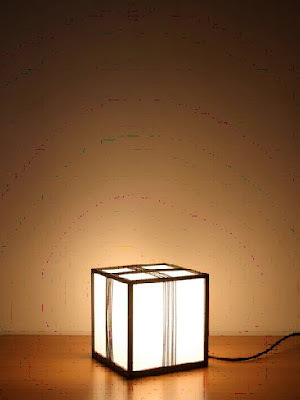 The square type designs provide also the home decor function whenever switch on or switch off the lighting supply. And it’s made with bamboo and other environmental materials which it typically good for the green-feeling lover.